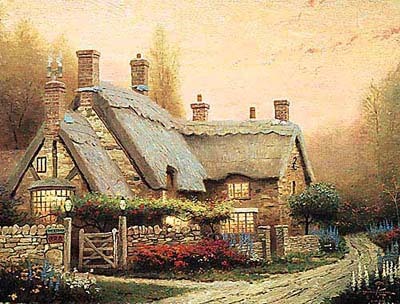 "There seems to be a quiet stateliness to classic English cottages such as McKenna's Cottage. Every stone seems placed by hand, every bit of thatch carefully bound in place. This is a patient labor of love." 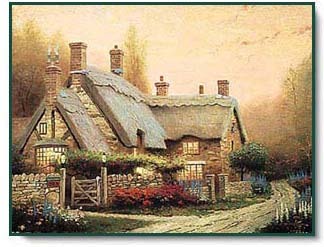 McKenna's Cottage copyright © 1991 by Thomas Kinkade.